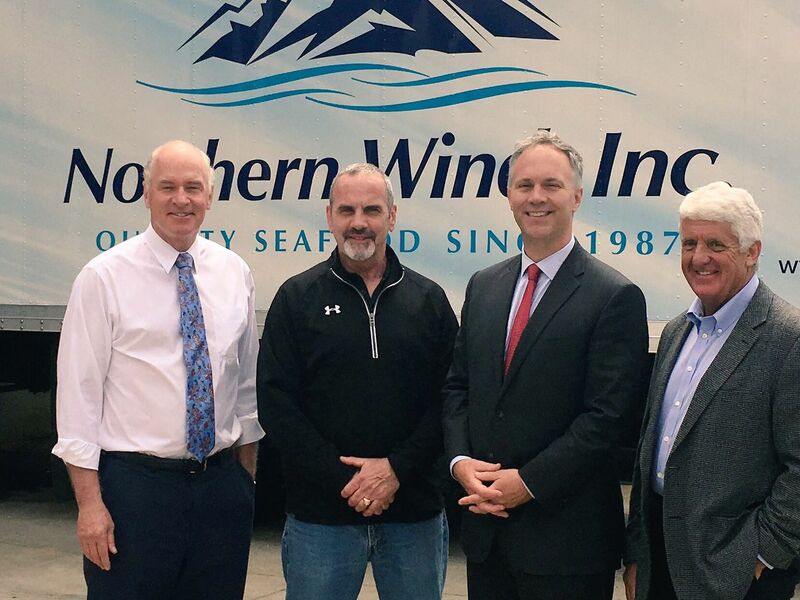 Northern Wind had the privilege of hosting a plant tour with key legislators on Thursday, June 2, 2016. Congressman Rob Bishop (R) of Utah and Congressman Bill Keating (D) of Massachusetts along with New Bedford's Mayor Jon Mitchell toured the facility to learn more about the fishery and production process. The visit was coordinated as a result of raised concerns due to the new NOAA mandates for At-Sea-Monitors. To read more about the visit, see our featured stories on WBSM's web site or in the Standard Times.